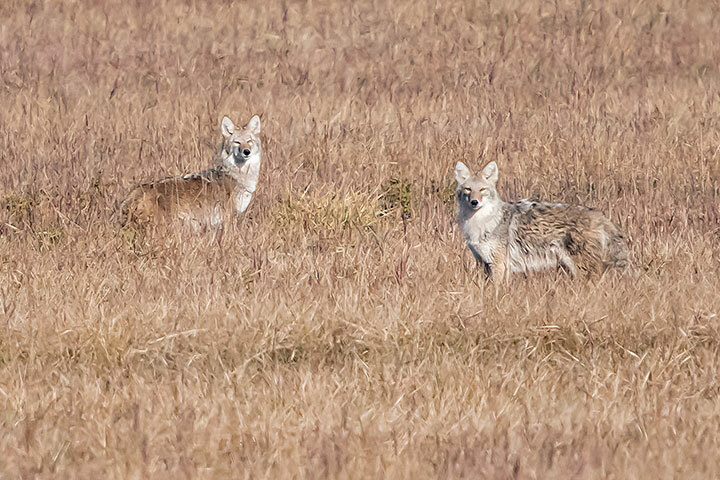 These coyotes were seen elsewhere last week. Birds visit my yard; Deer visit my yard; But Sunday’s visitors were unusual: two coyotes followed by two ruffed grouse. Upon spotting me, the coyotes quickly vanished into the woods without the courtesy of posing for portraits — so I illustrate the species with two seen elsewhere the week before. Unlike coyotes, grouse believe they cannot be seen if they don’t move, and this makes them much easier to photograph. 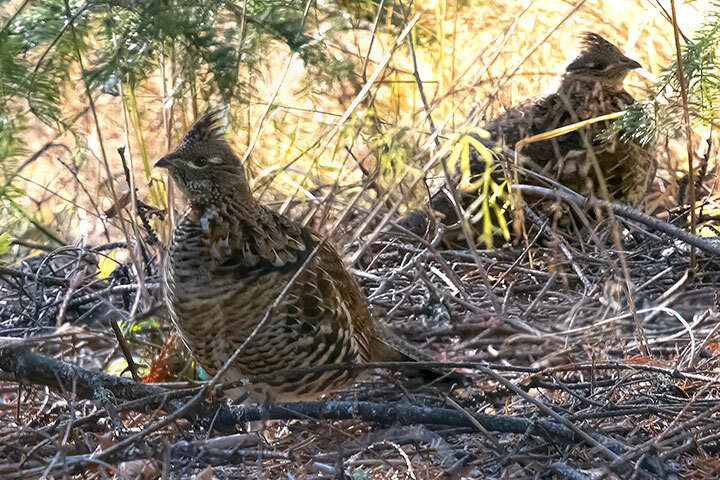 Two ruffed grouse sit invisibly in a thicket on the edge of my yard. A question: There’s a snow goose (just one) hanging out with the Canada geese at Lakeside. Do they usually stop here or is this one off-track? Sarah, it is an occasional thing to see them along the West Arm, and it is usually a juvenile. Snow Geese are not seen each year. So well camouflaged, until flushed, startling the rest of us!